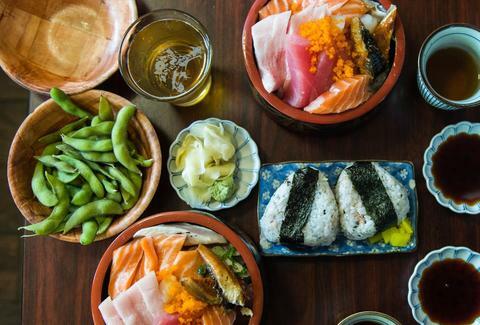 This classy sushi spot is open from 5:30-10pm, so you can plan a nice jaunt through the arboretum to work up an appetite for some of the freshest fish around. Go ahead and sit at the bar for a real chef’s table experience at a places that's building a national rep. 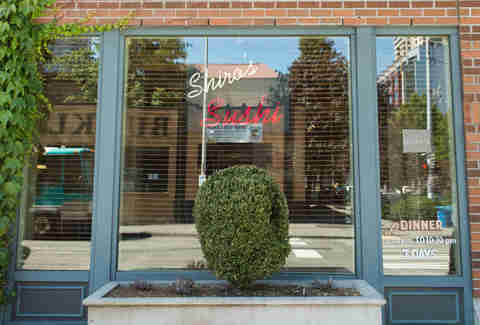 This itty-bitty sushi spot off 45th is almost never sans line… so you know it’s going to be worth it. You’d be remiss not to get the chirashi bowl, which comes with a little bit of everything, including salmon, shrimp, tuna, etc. 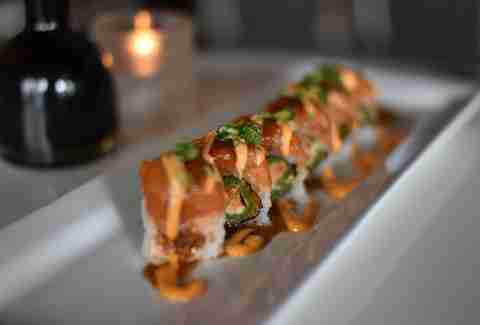 Despite it's spicy name, this dimly lit Belltown affair has a sushi roll for you. 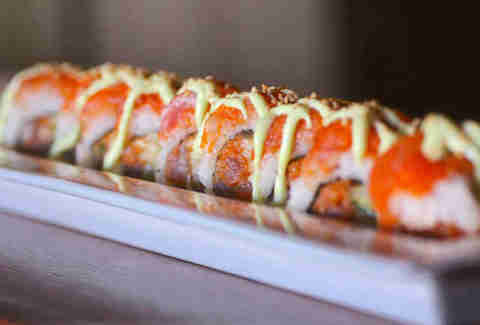 From teka maki or tuna to its Dragon In Drag Roll -- which has tempura eel, cilantro, mango and is topped with tuna, mayo crab, and more -- Wasabi is certainly not afraid to change things up from your standard issue sushi fare. 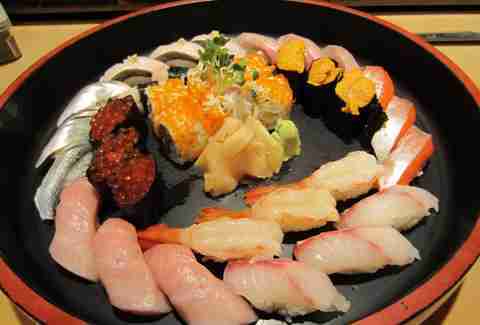 Kisaku means frank and easy going, which you will definitely be after having a round of fresh raw fish here. 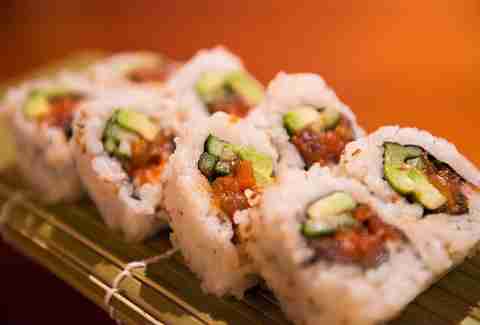 Be sure to grab the Green Lake Roll, which has salmon, flying fish eggs, asparagus, avocado, and marinated seaweed. Seattle’s very first sushi truck, Garden Sushi is a must visit in the warmer days of the year, and is actually a legit spot for a sushi despite it's seemingly ad hoc parking lot digs. 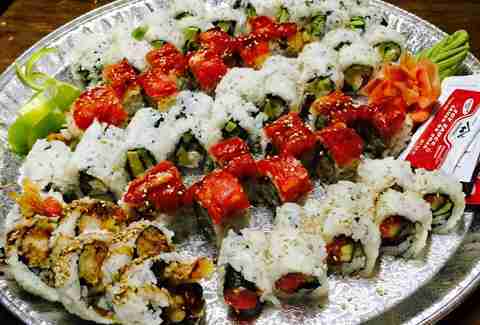 You can’t go wrong with Tsui Sushi Bar’s happy hour, which features a number of its most popular rolls and sets at a much lower cost than usual. The chic spot also has several beers on tap, along with a great selection of sake and inspired cocktails. 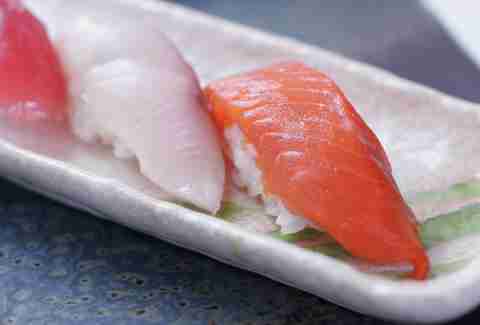 Recognized by Bon Appétit and Travel + Leisure, Sushi Kappo Tamura takes advantage of the best seasonal ingredients the Pacific Northwest has to offer, and because sushi is obviously all about the fish, you better believe Sushi Kappo Tamura is the real deal -- executive chef Taichi Kitamura grew up in Kyoto and is all about it. 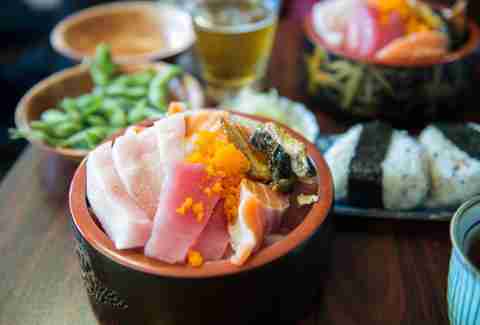 Helmed by Billy Beach himself (also of Japonessa), this laid-back spot serves a constantly changing menu of small bites, as wells as not-so-traditional takes on Japanese classics. 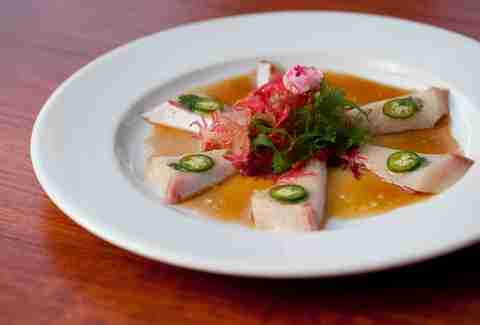 Spring for the sea urchin or sake brushed tuna and you won’t be disappointed. Though a bit has changed in the past couple years -- Shiro sold his stock and bailed ship last year -- the show must go on. 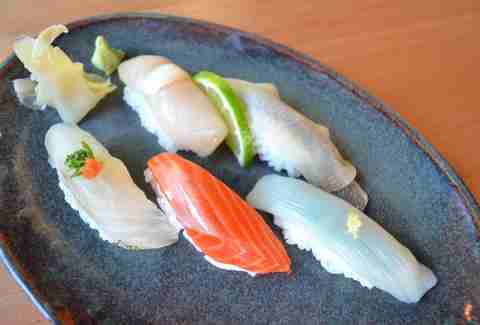 Served in traditional edomae fashion -- that is to say, served freshly caught -- it doesn’t get much better than the nigiri here. Standing in the dark, bustling bar up front you'd never guess that down a narrow hallway there's a serene, glass-enclosed Japanese-style garden surrounded by one of the city's more tranquil eat spaces, where they're serving an expansive fusion menu that includes things like jalapeño hamachi and salmon tartare.